Ma Prairie Offers a Place in the Sun to suit every Camper’s Taste. Rent a mobile home at Ma Prairie via Luxcamp and be welcomed by mountains, land, sun and sea. This luxury camping site offers everything necessary for both complete relaxation and active recreation. Enjoy luxury camping by choosing a sunbed beside one of 2 heated pools or go careening into the waters by way of a thrilling water slide, spacegliss or pentagliss. Luxury camping Ma Prairie style means that kids and adults have no shortage of sports or entertainment options. 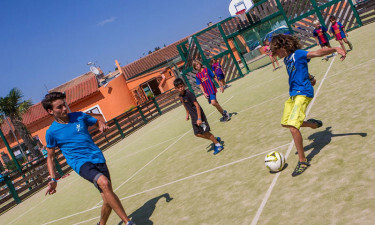 A friendly team provides kids with plenty of fun in a safe environment, while adults take advantage of a multi-sport playground, water sports or fitness centre. A fitness centre for adults. Bike rentals for discovering the beauty of the region. Various planned excursions to explore the Catalan heritage. Float in the heated blue waters of 1 pool, or enjoy a thrill a minute hurtling down a pentagliss, spacegliss or tamer waterslide. 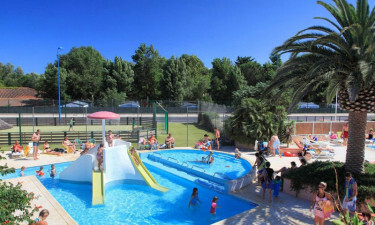 The variety of available options make for a memorable camping holiday. With the powdery beaches of Canet Plage a mere 3km away, campers may elect to walk or take the bike path that leads directly to the beach. Buses are also available for the more leisurely camper.